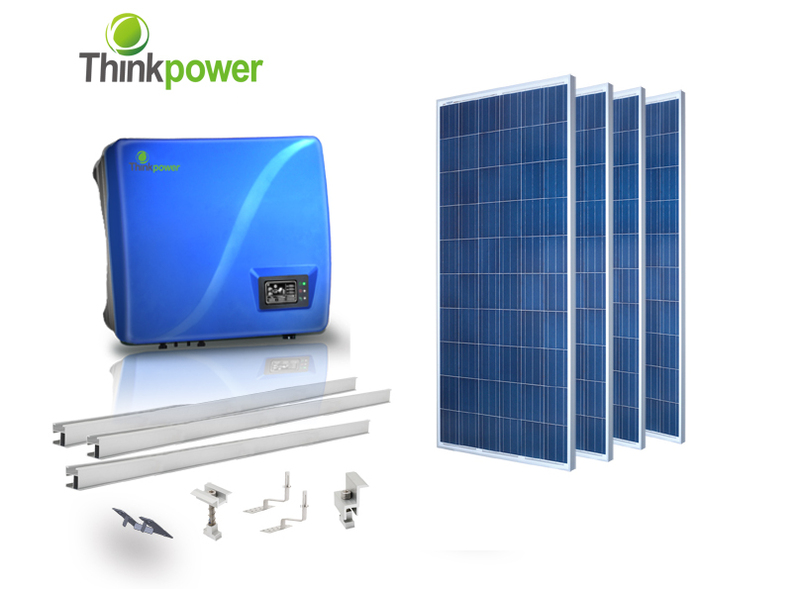 This 5.4kw Grid-tie System is designed around the Thinkpower S series 5kw inverter and 20 CSUN Solar Panels. Complete with MC4 extension cables, Thinkpower S5000TL inverter, durable IronRidge racking, AC disconnect/shutoff switch and an Electrical Design Drawing. The key of every PV system is the inverter and we have included Thinkpower's new ultra-high efficiency transformerless inverters packed with features allowing you to convert the greatest amount of sunlight into usable energy.